Strict Sharia, or Islamic religious laws, imposed by the Islamist rebels controlling vast swathes of northern Mali are driving thousands of students out of schools. Dress codes have been imposed, boys and girls are forced to learn separately, and subjects deemed to promote “infidelity” have been struck off the curriculum. Outraged parents are transferring their children and some students are opting to miss examinations rather than learn under these conditions. “I decided not to sit my second-term examinations under those conditions and my parents agreed with me. They transferred me to Sikasso [a town southeast of Bamako], where I’m now pursuing my studies,” said Almoustapha Cissé. Boubacar Sissoko, a schoolmaster in Timbuktu - a UNESCO World Heritage site - said the Islamists “terrorize the children” with the new laws. “They have introduced their own programme and new subjects like Islamic education, or collective prayers that they themselves conduct,” he said. The arrival of the Islamists in the north in March and the unrest that followed have left only 107 students out of 429 at the school. Mali’s education ministry estimates that around 5,000 students have fled to schools in Bamako and other southern towns since Islamist fighters of Ansar Dine, an Islamist group that wants to apply Sharia law throughout Mali; the Movement for Unity and Jihad in West Africa (MUJAO), a small Islamist group; and the Azawad National Liberation Movement (MNLA), who want to create a separate secular state in the north, seized northern Mali when a military coup on 22 March ousted president Amadou Amani Touré in Bamako. The combination of conflict, harsh drought, food insecurity, and now the imposition of Sharia law, has internally displaced 146,900 people, and more than 150,000 others to neighbouring Mauritania, Burkina Faso, Niger and Guinea, according to the UN Refugee Agency (UNHCR). Although schools have taken the brunt of the draconian Islamic laws, residents can also no longer watch television, men cannot shave their beard or use tobacco. On 20 June, a Timbuktu couple was flogged 100 times in public for having a child out of wedlock, sparking condemnation by shocked and angry residents. “I was really shocked to see these poor youths undergo such punishment simply because of having a child. It made me cry. It’s a shame,” said Mariama, a schoolgirl. “We are living in another world,” said Attaher Maiga, a Timbuktu resident, pointing out that the Koran does not forbid football, tobacco or shaving one’s beard. But the Islamists defend their laws. “Sharia has to be applied whether the people like it or not, we will enforce it. We are not asking anybody’s opinion. We are not democrats. We are servants of Allah who demands Sharia,” Sanda Ould Boumama, Ansar Dine’s spokesman in Timbuktu, told IRIN. Girls are forced to wear djellabas, or full-body robes. “On 7 May, Ansar Dine and its ally, Al Qaeda in Maghreb, reopened schools in Timbuktu and Gao, a town to the east, but students began a new system [of learning] unknown to them before the occupation of the region,” Timbuktu Education Director, Abou Bacri Cissé, told IRIN. “Not only did they impose a new education system, separating girls and boys in classrooms, they also separate the students in groups - boys learning in the morning, and girls in the afternoon,” he said. In classrooms in Gao, “Boys sit in front and girls at the back, like in mosques,” Beydi Koné, a journalist in the town, told IRIN. Amahane Touré, a teacher in Gao, said only 21 pupils remain in her eighth and ninth grade French class, among them three girls. Previously there were 69 pupils, including 19 girls. “We are searched every day before going to classes for fear that we are teaching the subjects banned under their Sharia. They forbid us from teaching certain subjects like biology, philosophy, civic education, under the pretext that they promote infidelity,” she said. “I understand the plight of the parents who fled with their children, but as teachers we have the duty to teach those who remain, even if the conditions are tough, especially due to Sharia imposed by Ansar Dine,” Touré said. 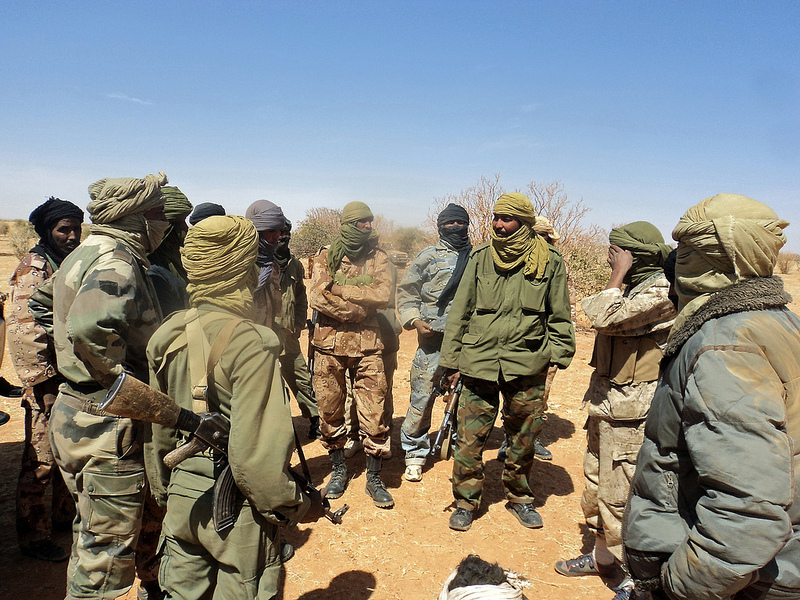 In the weeks after the military coup, heavily-armed MNLA rebels and Islamists gained an unprecedented hold over northern Mali. The MNLA declared independence soon afterwards, but the move was rejected by its Islamist allies as well as the international community, and caused divisions among the armed groups in the region. The Economic Commission of West African States (ECOWAS) is trying to resolve the crisis, which has also worsened the suffering of millions of Malians affected by a severe drought across the Sahel region. The UN Office for the Coordination of Humanitarian Affairs (OCHA) estimates that more than 3.5 million Malians are hungry. Faced with the hardships, Mali’s education ministry has been forced to postpone the June national primary and secondary school examinations for a month. “Special sessions and make-up classes have been set up for the students displaced from the north,” said Mahamane Baby, an advisor at the education ministry “This is to help them to overcome the stress and not lag behind.